I recently watched the second anniversary of myGov.in initiative on the television. Shri Narendra Modi, honorable Prime Minister of India, spoke at length about the virtues of participatory governance. He even termed it as digital governance. Well, participatory and digital are intrinsically related as the later enables the former. It is very inspiring to see the vision, the will and the enabling structures on ground to operationalize the construct of participatory governance. But is that enough? May be not? That’s at best a good and an honest start. But there is a lot more, which is required beyond the digitally enabled citizen interface. There is a much bigger task remaining, that of building the capacity to handle participatory governance. Based on our baseline research on eGovernance in India, it seems that the work is in progress towards building the capacity but a lot remains to be done. Why is building capacity so important? 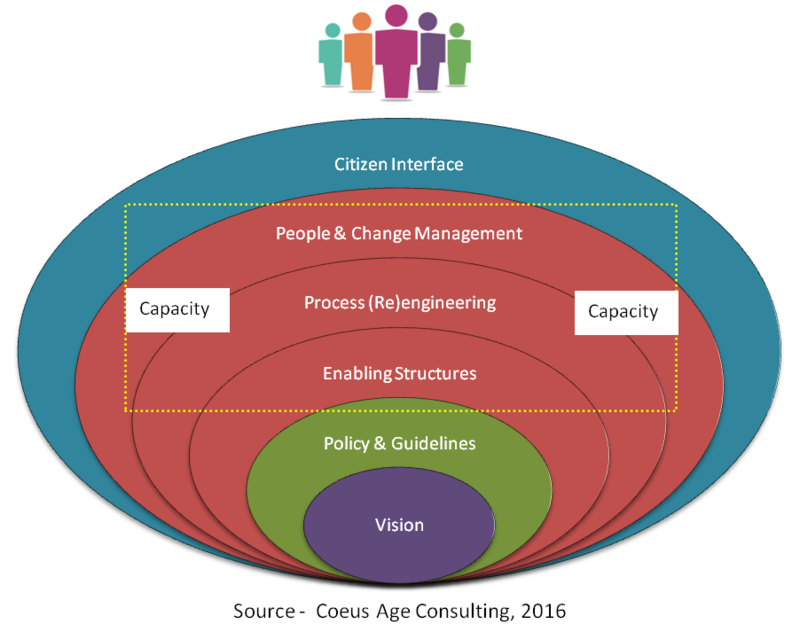 Participative governance is not just about a citizen interface. It may take only some efforts to build a functional interface on any device the citizen may want. That’s good for opinion seeking or lending an ear to listen to people’s grievances. But that’s not enough for responding with a concrete response. E.g. one of the state governments started an app based service to upload the pictures of garbage citizens may want to be cleared. The app is tagged with the time and location data to ensure that it is a genuine problem. It would trigger the process internally to ensure that someone comes and collects the garbage. The app can help track the time elapsed between the request was triggered and the garbage collected. The real test of the app shall happen when it can help close the loop by posting photos with time and location stamp post garbage clearing. The sheer volume of requests by the citizens has to be handled and each loop has to be closed. Similarly in case of citizens or citizen groups participating in planning, implementation and monitoring of e-governance services, the government machinery has to work closely with and respond to them. Does the government has the the capacity to do so? Capacity is the process, people and structural readiness to deal with citizen requests for services through digital interfaces. Digital can also play a big role in building the capacity through providing a platform for process re-engineering, people (re)skilling and change management around the platform. 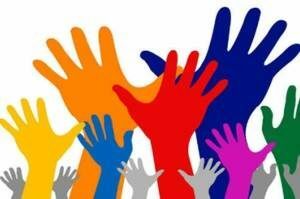 Citizens want empowerment or the power to suggest, question or prod government agencies and agents. There are multiple occasions when each one of us wants to intervene to report an incidence of both commission and omission on part of government agents or even certain kind of citizen behaviors. E.g. a traffic cop taking bribe or chaos in a government office or someone refusing to give the service or someone driving odd numbered car on an even day. Citizens can participate if an interface is provided for them to intervene using a simple mobile app and much better by adding capacity to respond to the citizens’ actions. That’s true engagement and that’s true participative democracy to me. That will surely require building the adequate capacity beyond the interface. I am sure we citizens want to participate on many such occasions. To enable participation at these points, it will require both the interface and the capacity to handle the problem. In fact it must start with the vision of those in power, whether they are ready to really empower people. The vision must reflect in the policies adopted by the state. E.g. many states in India are embracing Right to Service in their policies, which is a welcome change. As part of Maximum Governance initiative, we at Coeus Age have developed a model to map the progression of an e-governance project through five stages of depth – basic information, advanced information, interaction, transaction and participation or involvement. According to a baseline mapping of 1600 projects across India, 21 % qualify as transaction or participation (the later is only a minuscule less than 1 %). Many projects of interaction type may give the impression of participation but they are simple interface projects without the ability to transact and make room for true participation. True Surajya shall come when each one us will have a say in what’s happening around us and we shall be empowered digitally to act.